When we think cloud services, the first name is AWS. It is the leading cloud services and IT infrastructure provider. Eternal being an AWS certified consulting partner has in-depth knowledge of AWS domain. Since AWS provides an array of services on SaaS model, so most of the time a business owner has no idea of which service to use. 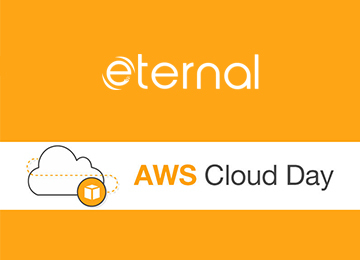 This where the AWS expertise of Eternal comes into play and today we are simplifying the use of AWS storage services, so that you decide the best for your business. 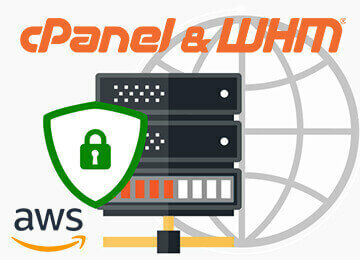 Here we will talk about most popular AWS storage services Amazon EBS, Amazon EFS, & Amazon S3. After all the comparison we will talk about the conclusion which are based on Eternal’s AWS expertise and various use cases. Elastic Block storage service is manually scalable service. 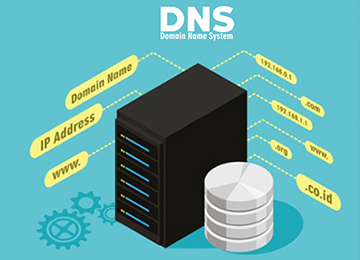 It is a persistent storage device that can be used as a file system for databases, application hosting and storage, and plug and play devices. One EBS volume can only be attach to a one instance or database. Its cost is lower then EFS. A block storage (so you need to format it). This means you are able to choose which type of file system you want. As it’s a block storage, you can use Raid 1 (or 0 or 10) with multiple block storages. You can store up to 16TB data per storage on SSD-s.
You can snapshot an EBS (while it’s still running) for backup reasons. You need an EC2 instance to attach it to. New feature (2017.Feb.15): You can now increase volume size, adjust performance, or change the volume type while the volume is in use. You can continue to use your application while the change takes effect. Amazon EBS pricing: General Purpose SSD (gp2) $0.10 per GB-month. Provisioned IOPS SSD (io1) $0.125 per GB-month ($0.065 per provisioned IOPS-month) Throughput Optimized HDD (st1) $0.045 per GB-month. Cold HDD (sc1) volumes $0.025 per GB-month. Amazon Elastic File system is the fully working as a Network File System (NFS). But it is fully managed and autoscaling file system of AWS. We only have to pay as we have used the storage. It is automatically increase and decrease as our uses. It is expensive compared to EBS (~10x more) but it gives extra features. It’s a highly available service. You can attach the EFS storage to multiple EC2 Instances. Amazon Simple Storage Service (S3) is highly durable and Unlimited capacity static storage service. It is mainly used to store objects. It is useful for static website hosting, media distribution, version management, big data analytics, and archiving. In term of price the S3 is cheaper then these both. It provides us unlimited storage capacity. An object store (not a file system). Great for short term archiving (e.g. a few weeks). It’s good for long term archiving too, but Glacier is more cost efficient. Amazon S3 pricing: First 50 TB / Month $0.023 per GB Next 450 TB / Month $0.022 per GB Over 500 TB / Month $0.021 per GB. As we come to the end of comparison of various AWS storage services, now you must be aware of the types of AWS storage services and their benefits. It is time for the final verdict. In the end, the deciding factor between Amazon EBS vs. Amazon EFS vs. S3 most likely comes down to how much you are ready to pay for storage. Amazon S3 looks the cheapest but that might not always be the case. For performance, Amazon EBS is the fastest due to high IOPS, but when it comes to shared and scalable file systems Amazon EFS is the best option. Comparing these storage options on AWS, EBS pricing and performance strike a balance that makes it very attractive. But in terms of managed and multi AZ NFS file system with auto scalability EFS is the most attractive and preferable.